Situated at the base of Mt. Oread on the University of Kansas campus, the Spencer Museum of Art is the state's only comprehensive art museum. The Spencer houses an internationally known collection of more than 45,000 artworks and objects of cultural significance in all media, spanning the history of European and American art from ancient to contemporary, with broad and significant holdings of East Asian art. Areas of special strength include medieval art; European and American painting, sculpture, and prints; photography; Japanese Edo-period painting and prints; and 20th-century Chinese painting. 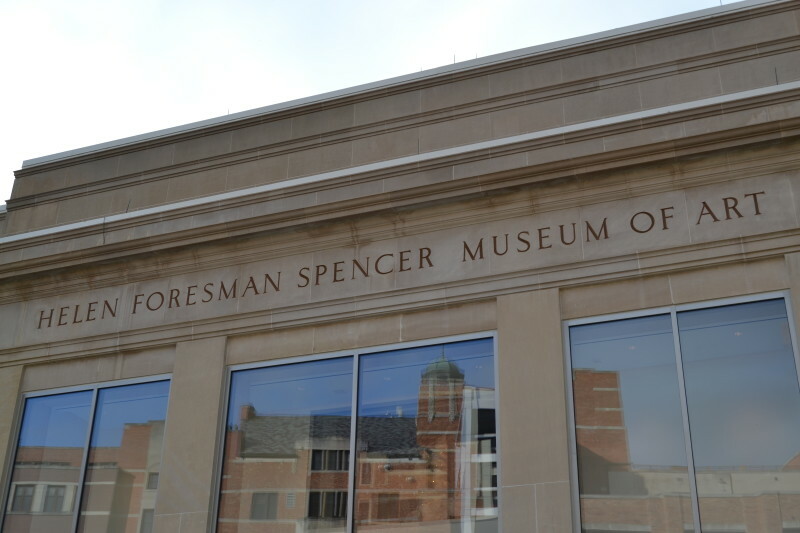 The Spencer also offers a full calendar of exhibition-related programming, including lectures, films, performances, gallery talks, and children's art classes. Admission is free; donations are accepted.